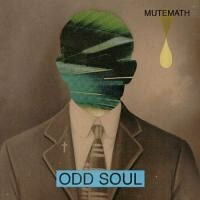 Odd Soul is a well-executed record, but it's too indebted to its overt influences to stand alone as a solid album. Only a year after their stunning 2010 release Brothers, the Black Keys rather humorously announced just recently that their newest LP, entitled El Camino, would be released this December. This seemed to come rather quickly; bands generally don't turn out a new record within a year. This naturally means that the hype is palpable. The press for the album was great, as were the subsequent awards received. The expectations for El Camino are naturally high, and if the album's adverts get any funnier then the suspense is only bound to build. One might be forgiven, though, for thinking that Odd Soul is the two-month early pre-release of the record after a minute into the first song. The sleeve art may say "Mutemath" on the cover, but this album positively bleeds of the Black Keys. Now, it is true that the Keys themselves are also heavily indebted to many of the greats of the blues and classic rock genre, but what makes them so successful is that they reinterpret those genres through a modern lens. Odd Soul, though sounding of older genres, is no doubt a contemporary record; it's so contemporary, in fact, that when it pays homage to classic blues and rock it sounds more like a straight mimicking of those genres instead of a fresh interpretation. The album's opening cut, "Odd Soul", suffers this. Though by all means a well-done song, it sounds so close to the music of the Black Keys that instead of tribute it sounds like pastiche. Lead singer Paul Meany's vocals seem to be engineered to sound exactly like Dan Auerbach's. The energy on the song is great, but at the same it comes just a little too close to a clone copy. The album does represent something of a sonic diversion for the band, who have done well for themselves in taking a typical alternative rock sonic palate and mixing in different styles, notably an affinity for ambiance. The band's biggest break remains the fairly typical but catchy rocker "Typical", but the band has never shown any desire to give up their desire to make their music fresh. On Odd Soul, the band is still experimenting, but for the most part the album is highly indebted not just to the Black Keys but to the blues in general, as well as the more bluesy side of classic rock. This is particularly obvious on the album's first four tracks, the best of which is "Blood Pressure", which uses the excellent double-octave vocal effect that Prince once used so effectively. From there, the influences vary, though for the most part the record keeps its blues sonic plenty evident. "All or Nothing" recalls Radiohead (the drum intro for a moment sounds nearly identical to "Idioteque" from Kid A), the lead guitar on "Walking Paranoia" harkens to Led Zeppelin, and the beautiful, sparse album closer "In No Time" would sound comfortable on a modern synth-pop record. All of these disparate elements never clash with each other, which helps given that the album drags on probably a little bit too long (though 50 minutes isn't terribly long for a record, here it would have helped had the band cut a few tracks). Fortunately, Mutemath haven't stopped trying to be as cutting-edge as they can be. Moments of brilliance still pop up. A drum break in the middle of "Cavalries" is one of the album's finest moments, and a fine addition to the blues aesthetic that dominates the record. This experimentation is especially fresh to hear given that the band is sometimes associated (albeit loosely) with the Christian music scene, which over the past decade has become replete with generic, boring bands rehashing the same alternative rock that's been playing on the same radio stations for years. Though the band's experimental tendencies haven't faded, it would best serve the band to hone the sound that they succeed at instead of wearing their influences so obviously on their sleeves. Odd Soul is appropriately odd, but not as odd as the band has proven that they can successfully be in the past.